Employee relations is an ongoing challenge for businesses with large or diverse workforces. One aspect of workplace relations is employee credibility, which refers to how workers perceive leaders and whether they trust them. 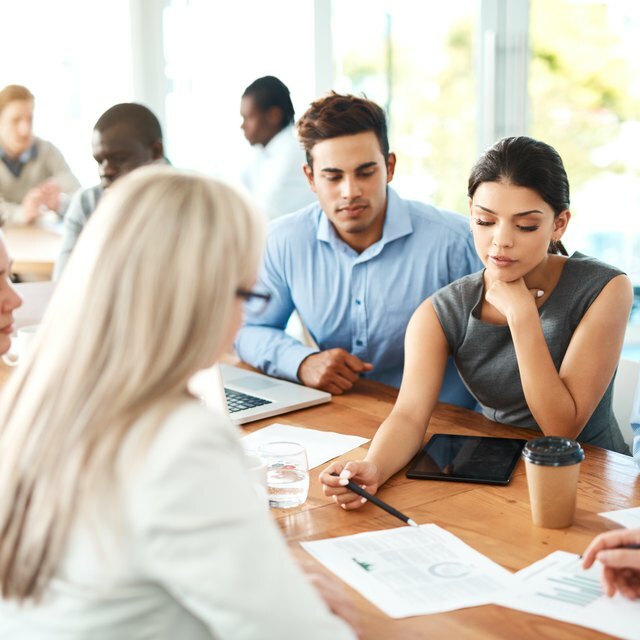 Both tangible and intangible factors demonstrate why employers dedicate time and money to communication and accountability in managing employee relations and creating employee credibility. Employee credibility has a very real impact on a business's bottom line due to the impact it can have on workers' motivation and overall workplace efficiency. Workers who trust their superiors and have a sense of respect for the corporate leadership are more likely to dedicate themselves to tasks and make accommodations to foster teamwork and mutual goals rather than personal achievements and milestones. When leaders accept accountability for their failings and show that they sincerely value employees, they appeal to an ethical sense of justice that will encourage employees to dedicate themselves to tasks and improvement. One area where employee credibility has a tangible effect on a business's bottom line is in the area of employee retention and turnover rates. Employee credibility encourages loyalty as workers who trust their leaders are more likely to stay with a company and less likely to grow dissatisfied and seek work elsewhere, which means businesses that can create employee credibility need to spend less money on recruiting and training replacement workers. It also keeps experienced workers in the workplace where they can benefit colleagues and teach new employees by their examples and through mentoring or formal instruction. Workplaces that include a high level of employee credibility have fewer logistical problems to deal with on a recurring basis. Clear, honest communications are central to building and maintaining employee credibility. When a workplace features open lines of communications between managers and employees, it allows for a free flow of information. Employees understand their roles in the organization and what leaders expect of them. Employee credibility allows workers to turn to leaders with questions rather than making assumptions or waiting for information to come to them. Employee credibility in the workplace affects the way a business's employees interact with clients and potential customers, which occurs when workers feel confident passing along information to clients without worrying about the accuracy of what a leader has stated or ordered. A business culture that includes employee credibility is likely to improve customer service in other ways as well, such as customer service representatives knowing where to find answers and being willing to accept accountability for personal mistakes or shortcomings.